Showing 37 articles from June 13, 2018. FINAL WALK. 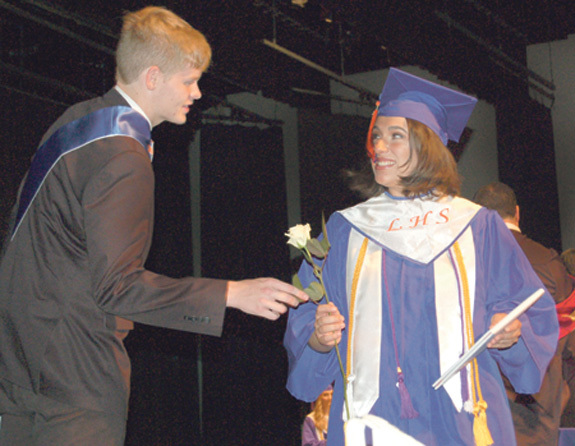 Louisburg High School's Lillian Zimmerman grabs a rose as the final graduate during commencement on Saturday. LOUISBURG -- About 570 students from Franklin County's three high schools received their diplomas last weekend, earning the certification they'll need to go to college, enter the workforce or the military. Franklinton High Principal Russell Holloman told his graduates to use the last 13 years of education as a platform for life's uncertain future. FRANKLINTON -- As bolstered utilities get ready to come online to support residential and expected commercial growth, commissioners and staff met last week to talk about what they'll need to do to guide such development. A club for local kids! 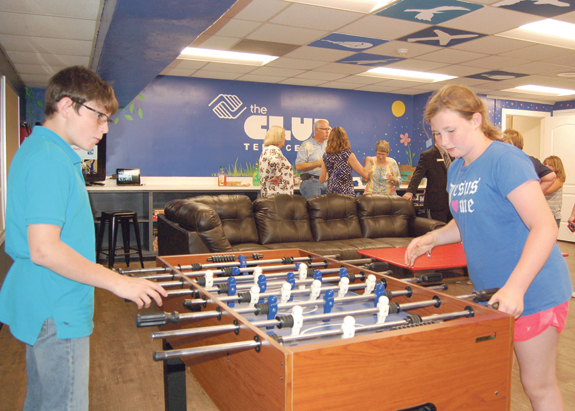 FRANKLINTON -- Last week, the United Way of Franklin County unveiled a newly renovated Boys and Girls Club space at Franklinton Middle School. But the work won't stop, United Way Executive Director Andrea Wright said standing inside the freshly painted, newly floored and vibrant community room that used to be a storage room for the middle school. Here it is mid-June -- and we can expect to see recruiters from the National Football League around here any day now as they search the nation for new talent. With the ever-changing (and confusing) rules in the NFL, the odds are that talented folks who can punt are going to be avidly sought out. And we have some expert punters right here in Franklin County, although it remains to be seen if they can punt an actual football. They can punt, however, and if they can make the switch from issues to footballs, the sky is their limit. The decision reason? 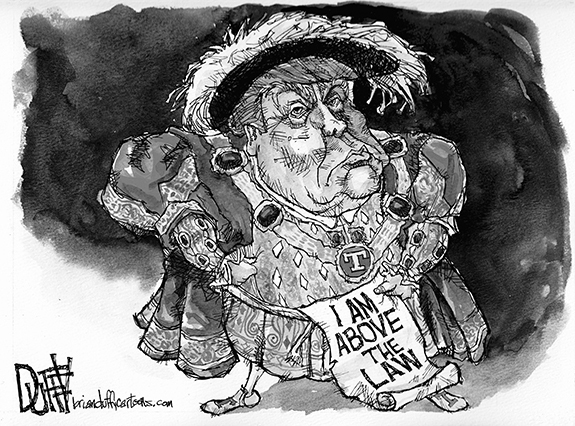 We deserve to hear it! 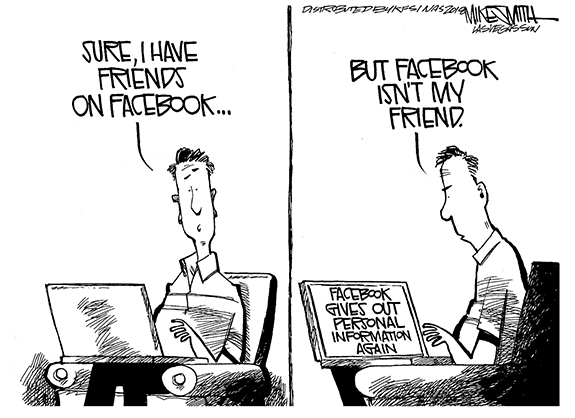 Last week, Franklin County commissioners faced what, to us at least, seemed like the easiest decision they will make as public officials. Four, all Democrats, voted to join legal action against the manufacturers and distributors that marketed and proliferated dangerous opioid painkillers, drugs that claimed more lives in 2016 than America lost soldiers in the Vietnam War. As a fan of the National Basketball Association, I'm familiar with the phrase: Trust the process. It is a mantra that was adopted by the Philadelphia 76ers administration, players and fan base when management decided that rather than compete feverishly for a chance to get into the playoffs, they would instead hinder their own immediate chances at success by trotting out a less-than-competitive squad with the goal of finishing so poorly in the standings that it would increase their chances at getting top draft picks in subsequent seasons to bolster their chances to win more down the line. Dear editor: The Charlotte Observer has assembled a panel of 60 North Carolinians to respond to questions from the public regarding North Carolina's future. The panel is called "60 Leading Voices for a Better North Carolina." 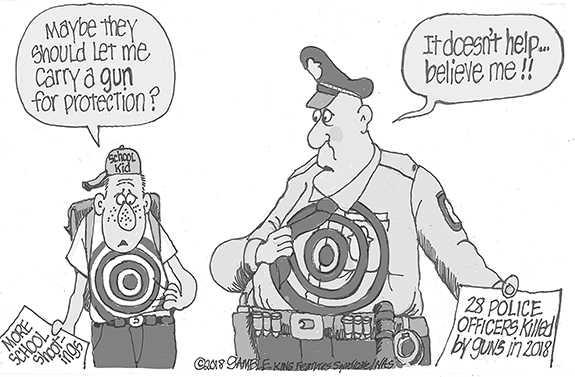 You may have read about this panel in recent issues of The Raleigh News & Observer, another McClatchy-owned newspaper. CASTALIA - Judith Glenn Leonard, 96, died peacefully Wednesday morning at her home. 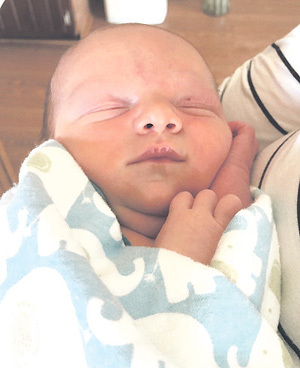 She was born in Franklin County, a daughter of the late Charlie Cleveland and Mae House Leonard. She was preceded in death by her husband Hubert Leonard, son Alton Glenn Leonard, grandson, Alton Glenn Leonard, Jr. and sister, Edith Aycock. LOUISBURG--Funeral services for Leora Hayes, 91, who died Monday, June 11, 2018, will be held Friday, June 15, at 11 a.m. in the Richardson Funeral Home Chapel. Burial will follow in the Hayes family cemetery. FRANKLIN COUNTY - Some in-the-know observers will argue that the Northern Carolina Conference boasts one of the most competitive softball leagues in the state. It's hard to argue with that assessment after a spectacular 2018 season that saw South Granville (Class 2-A) and Louisburg (Class 1-A) reach the state finals in their respective classifications. 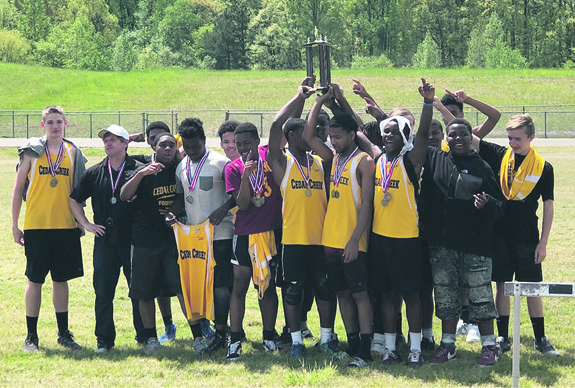 YOUNGSVILLE -- Cedar Creek Middle School has enjoyed some spectacular overall seasons in the Middle Athletic Conference -- but the 2017-18 campaign may have been its best yet. CCMS claimed four league championships and also earned three runner-up positions in the MAC, which is pretty amazing considering that the league only competes in 11 sports. 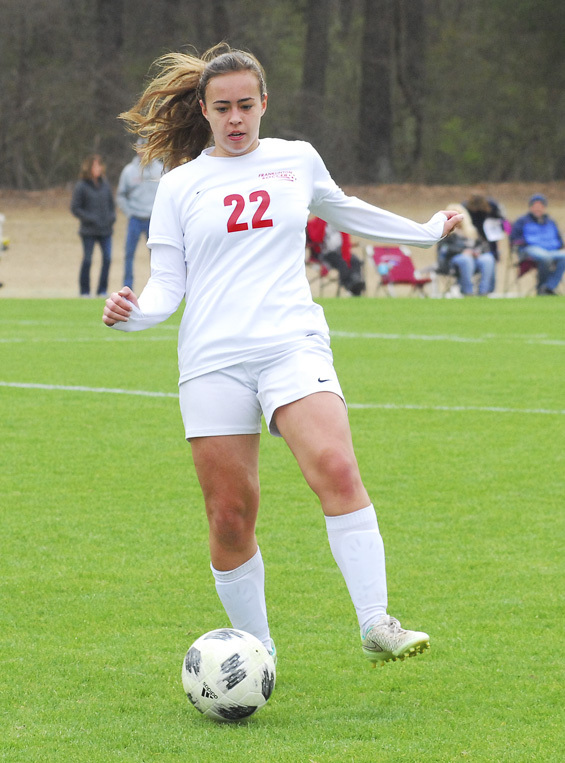 FRANKLINTON -- Franklinton High School experienced a major girls soccer transition this spring as the Lady Rams moved up from the Class 2-A Northern Carolina Conference to the Class 3-A Big East Conference. But the changes didn't stop there as former FHS keeper great Jared Miller took over as the club's new head coach. Despite the program modifications, the Lady Rams still enjoyed a successful season, going 11-11 overall while reaching the Class 3-A State Playoffs. 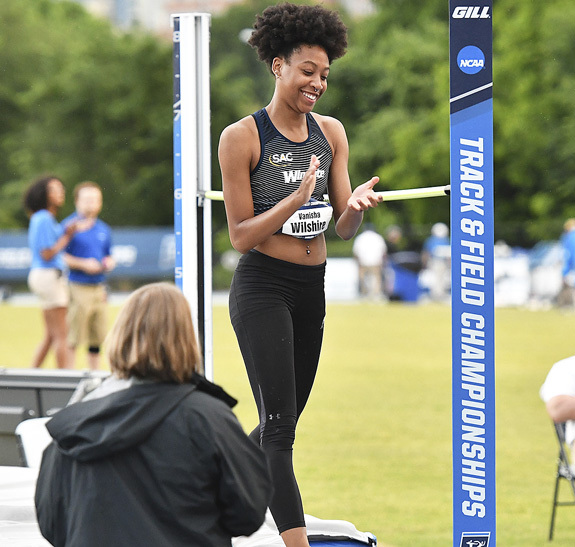 CHARLOTTE -- Wingate University juniors Vanisha Wilshire and Isaiah Kyle are both First Team All-Americans in the High Jump after placing in the top five nationally at the recent NCAA Division II Outdoor Track & Field National championships. Wilshire, who prepped at Louisburg High School, finished as the national runner-up, while Kyle finished fifth. BUIES CREEK -- Cooper Hummel hit a three-run homer and Rob Henry went 2-for-3 with two doubles as the Carolina Mudcats took game one 9-4, but starter Brandon Bailey took a no-hitter into the sixth in game two as the homestanding Buies Creek Astros defeated Carolina 2-1 to finish with a split in Tuesday's doubleheader in Class A Carolina League baseball action at Jim Perry Stadium on the campus of Campbell University. LOUISBURG -- After carving out a brilliant high school career at Craig County in the mountains of Southwest Virginia, expectations were high when Liv Garman joined the Louisburg College softball program last fall. 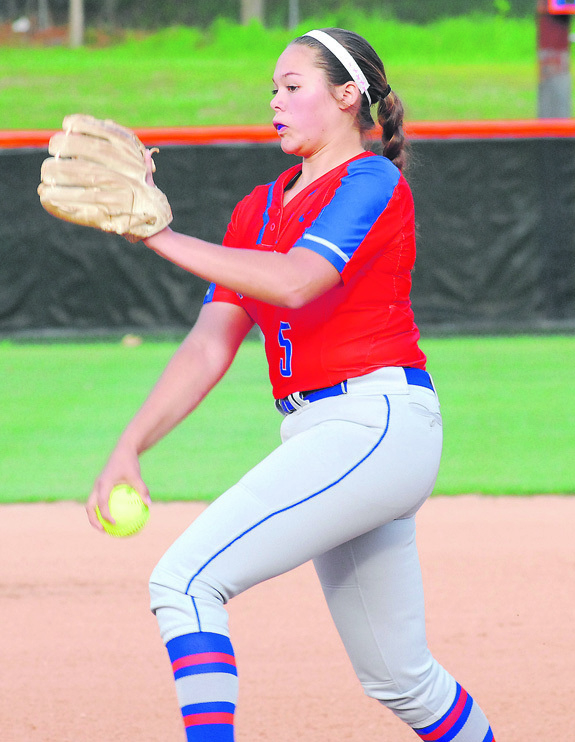 But most of those calculations for Garman's success came with her potential on the mound -- and not at the plate. FRANKLINTON -- Football workouts will begin June 19 for the Franklinton High School gridiron program and will run every Tuesday, Wednesday and Thursday from 5-7 p.m. on the FHS campus. Athletes will need a valid physical form in order to participate and will need to bring both athletic shoes and football cleats to each workout. WHAT A WEEKEND. The Youngsville Heat 10-Under Travel Team won the Top Gun-USA Summer Zone Qualifier on June 2-3 in Benson. 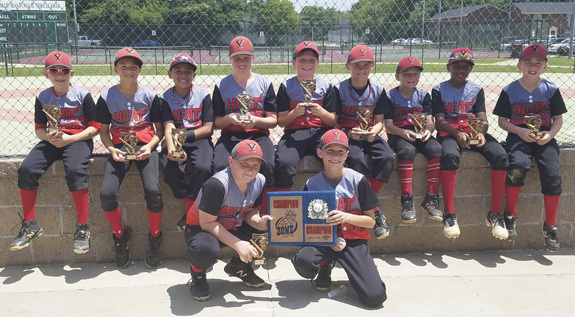 The Heat won a pair of contests on June 3 to wrap up the title -- and both decisions came courtesy of perfect games from Owen Mitchell and Carson Crider. Overall, the Heat posted a 4-0 record at the tourney. The Heat defeated West Raleigh Red 10-0 in the title game. 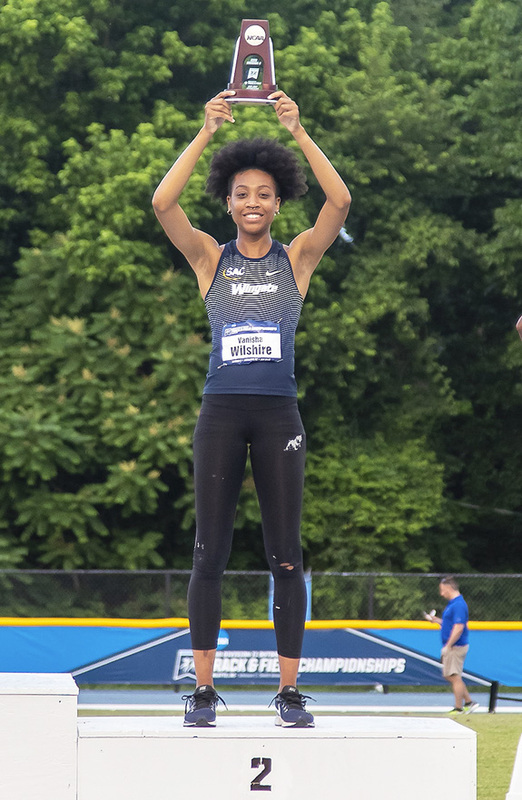 Wingate's Vanisha Wilshire proudly displays her second-place national plaque in the Women's High Jump at the NCAA Division II Track and Field Championships, which were held in Charlotte. 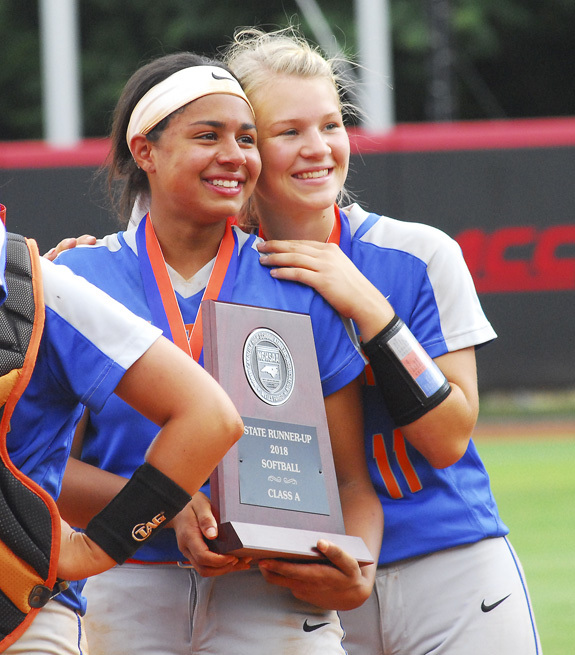 (L to R) Kaylee Saunders and Taylor Ferguson helped Louisburg High School reach the finals of the Class 1-A State Softball Playoffs -- and both have earned spots on the All-Northern Carolina Conference squad for 2018. Artist Patrice Kassan shows earrings to be! 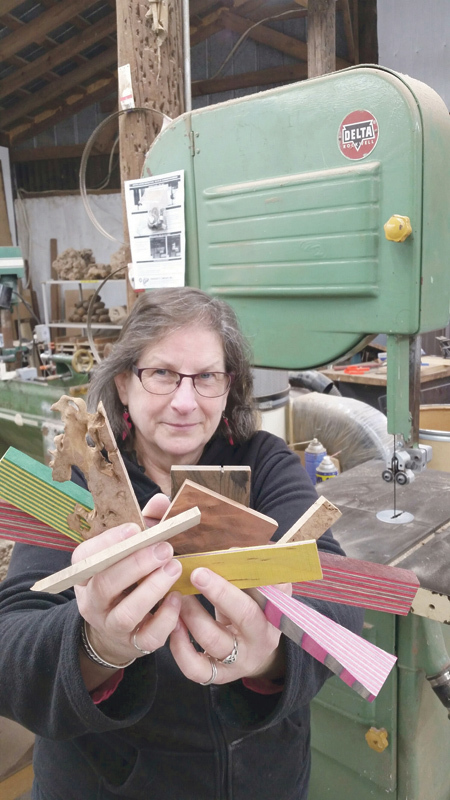 Franklin County Arts Council is formally opening its new downtown Louisburg gallery during June's Friday Nights on the Tar event and will feature Franklinton artists Craig and Patrice Kassan. The FCAC Gallery Grand Opening is slated for 6-8 p.m. Friday, June 15, as part of the town's Friday Nights on the Tar event. LOUISBURG -- The Franklin County Board of Education paused a few minutes Monday evening to honor Erica Wammock as the 2016-17 State Coach of the Year for volleyball before handling a short, rather routine agenda of business. Wammock was selected for the honor by the National Federation of State High School Associations for her work with the Louisburg High School girls team. 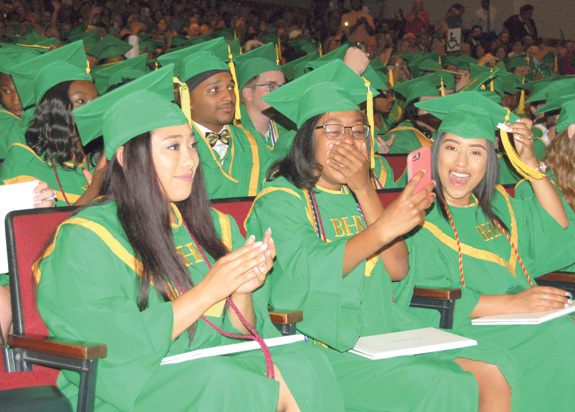 From left, Andrea Barrera Lopez, Gabrielle Banks and Gricel Arroyo-Carmona celebrate after turning their tassles during the Bunn High School commencement on Saturday. They rounded out Franklin County's three high school graduations. 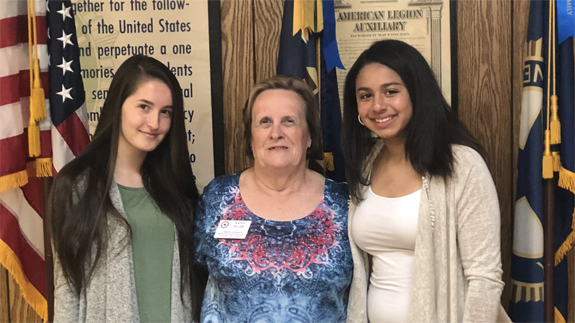 LOUISBURG -- American Legion Post 105 has selected the citizens who will attend the 78th session of Tar Heel Girls State, June 10-16, at Catawba College in Salisbury. Attending this year's session are Ashton Leonard and Kaylee Saunders, rising seniors at Louisburg High School. The Franklin County Training School/Riverside Union High School Alumni Association has awarded Stephon Bryant a $500 scholarshp. He graduated from Franklin County Early College High School on May 24, receiving his high school diploma and an Associate in Arts degree. He was active in the school Parent/Teacher/Student organization, was student body president, and has been awarded first place in the school spirit contest. 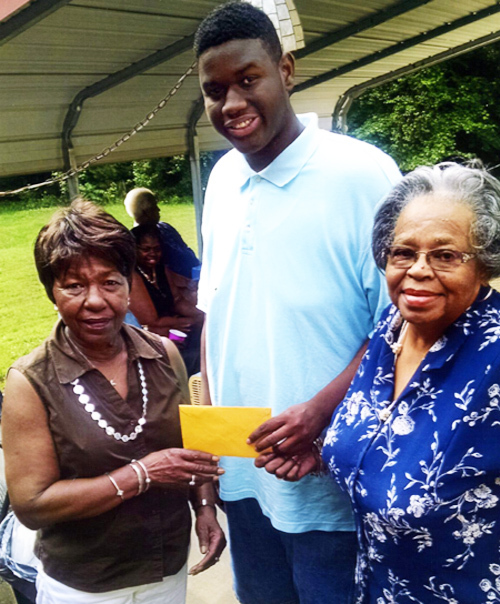 A cookout was held Sunday, May 27, in celebration of Stephon Bryant's recent graduation from the Franklin County Early College High School, given by his parents, grandmother and friends. He received his high school diploma and an Associate in Arts degree. He was also awarded a $500 scholarship by the Franklin County School/Riverside Union High School Alumni Association. Kerr-Vance Academy released the final honor roll recognition for for the 2017-2018 school year. LOUISBURG -- Authorities arrested a Warrenton man accused of initiating a domestic violence matter that resulted in his own shooting. Willie Jiggetts, 37, of Macon, was charged June 11 with one count of assault with a deadly weapon with intent to kill, one count of communicating threats, one count of first degree burglary, one count of possession of schedule II controlled substance, and one count of maintain a vehicle or dwelling for the storage of controlled substance. LOUISBURG -- Louisburg, Epsom and Mitchner's Crossroads fire crews responded to a house fire Monday evening that turned out to be a stove fire. The blaze at 109 Beam Circle was placed under control within three minutes of arrival, according to authorities. A resident, according to the report, sustained second- and third-degree burns to his upper body. FRANKLINTON -- The Franklin County Sheriff's Office is investigating allegations that a Franklinton High School volunteer coach had an inappropriate relationship with students. The coach, sheriff's officials said, is no longer with the school system. LOUISBURG -- No charges were filed, but a substitute teacher at Louisburg High School is no longer with the school system. Louisburg Police Chief Jason Abbott said authorities were notified that a substitute teacher had sent a 17-year-old female student text messages that were alleged to be inappropriate. LOUISBURG -- Police arrested two men, one at a Louisburg eatery and another at a park, on unrelated drug violations. Derek C. Lynch, 23, was arrested on June 11 at the BP/Dairy Queen and charged with possession with intent to sell and deliver marijuana, maintaining a vehicle/dwelling for the sale of a controlled substance and possession of marijuana paraphernalia. LOUISBURG -- The Louisburg Town Council tabled a request from the North Carolina Department of Transportation during a special meeting last Thursday rather than be pushed into making a decision before area residents and businesses were given a chance to comment. The idea, said DOT's Reid Elmore, is to change the lane configuration on NC 56 East at the East River Road intersection in an attempt to make the highway safer. YOUNGSVILLE -- A piece of property primed for commercial development got approval for a new tenant this week. On Tuesday night, the Youngsville Commissioners, sitting as the Board of Adjustment, approved a special use permit allowing Brandon Schenck to sell craft beer at a shop he's calling the Yacht Club at 118 E. Main Street.